"These are interesting times we're living in. All you have to do is learn to connect the dots, and get ready." Bleecker Street Media has debuted the first official trailer for indie dramedy The Tomorrow Man, which first premiered at the Sundance Film Festival earlier this year. This heartfelt, awkward romance is about a kooky elderly "doomsday prepper" man named Ed, and a humble "hoarder" woman named Ronnie who he meets and falls in love with. John Lithgow stars, with Blythe Danner, and a cast including Derek Cecil, Katie Aselton, Sophie Thatcher, and Eve Harlow. I caught this at Sundance earlier this year (read the review), and it has an awkward charm to it, that sinks in as it plays out. It's a nice little film - worth a watch. Ed Hemsler (John Lithgow) spends his life preparing for a disaster that may never come, building a secret doomsday room in his home. Ronnie Meisner (Blythe Danner) spends her life shopping for things she may never use. In a small town somewhere in America, these two people will try to find love while trying not to get lost in each other's stuff. The Tomorrow Man is written and directed by American filmmaker Noble Jones, making his feature directorial debut with this after shooting a number of music videos previously. This premiered at the Sundance Film Festival earlier this year (read our review). 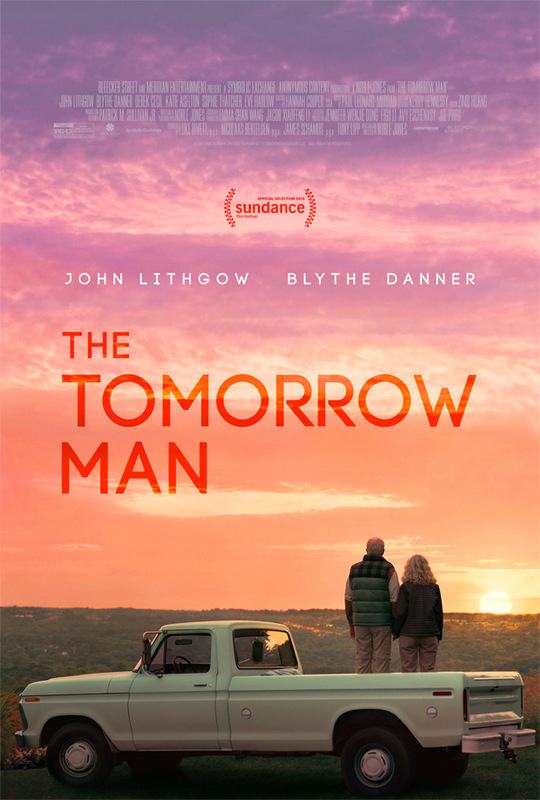 Bleecker Street will release Jones' The Tomorrow Man in select theaters starting on May 22nd, 2019 this summer. First impression?